Clemence Masango, Principal Director-Immigration Department, made an announcement regarding work to enable Zimbabwe to be a Destination where no Visa is required while Addressing Tourism Sector stakeholders. The government is taking measures to Abolish Visa to enable the visitors to arrive from any country without worrying regarding any permit difficulties. The Department will take steps to revise the Visa Regime further. 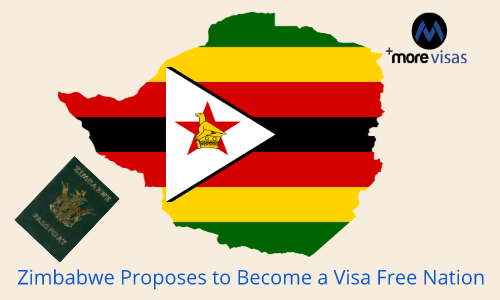 There will be a further reduction from the list of Visa requirements for entering Zimbabwe he added. A number of tourists have praised the upgrading in service delivery, done by the Immigration Department. People had to wait for several weeks to obtain their Visa but now can have them processed in a matter of hours since the swearing in of President Mnangagwa. The aim of these developments is to implement a rapid enlargement of tourists arriving in the country. Presently 2.2 million arrived in 2017 and the target for 2020 is 2.5million. The Ministry of Tourism made a confirmation that in the near future flights will be introduced from the Capital to Nyanga, Kariba, Masvingo, and Beitbridge. All the formalities regarding the revision of the Visa Regime by the Immigration Department have been completed but it awaits the governmental authorization. The exercise has been continuous but there is a government system to channelize and authorize. The initial exercise has been kept ready for publication for the desired clearance. An African Development Bank Group, states that Visas have a high cost, in when money and time, consumed by the applying individuals, is considered. Moreover, there are missed opportunities for the trade and local service economy and hence there is an immense need to abolish or relax visa requirements in order to improve mobility in Zimbabwe. As a measure of stimulating the activities in the productive segments of the economy, the Zimbabwean Reserve Bank has established a tourism support facility worth $15 million. It proposes to allocate USD 30000 to stakeholders in the tourism industry.